Muscle and Exercise Physiology is a comprehensive reference covering muscle and exercise physiology, from basic science to advanced knowledge, including muscle power generating capabilities, muscle energetics, fatigue, aging and the cardio-respiratory system in exercise performance. Topics presented include the clinical importance of body responses to physical exercise, including its impact on oxygen species production, body immune system, lipid and carbohydrate metabolism, cardiac energetics and its functional reserves, and the health-related effects of physical activity and inactivity. Novel topics like critical power, ROS and muscle, and heart muscle physiology are explored. This book is ideal for researchers and scientists interested in muscle and exercise physiology, as well as students in the biological sciences, including medicine, human movements and sport sciences. Professor Jerzy A. Zoladz (Ph.D.) is an internationally recognised scientist specializing in human exercise physiology, with special focus on muscle energetics, muscle performance and fatigue. He received his Ph.D., from the Free University of Amsterdam, the Netherlands in 2000, based on the thesis entitled. : Limitations to sustained power output with special reference to the change point in the V̇O2/power output relationship. In the same year, he become an associate professor (dr hab.) at the University School of Physical Education in Kraków, Poland, based on the thesis entitled. : Power output, mechanical efficiency and fatigue in human skeletal muscles. He is currently a full professor at the University School of Physical Education in Kraków, Poland. Professor Zoladz’s scientific interests include factors determining muscle power generating capabilities, muscle energetics, mechanisms determining the kinetics of oxygen uptake in human skeletal muscles and the impact of physical training on the muscle metabolic stability. He is the author/co-author of over a hundred of scientific papers/research communications published in international journals and he is a co-author of five textbooks for students. He has been a member of The Physiological Society (London) since 1996. 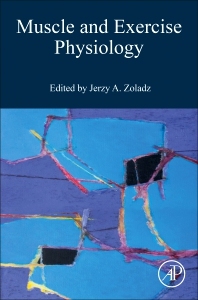 Professor Zoladz also authored a number of successful practical applications of science into sport practice, including the design of the field running test for athletes (known as the Zoladz-test) as well as the development of a new method of training of muscle strength and power for the Polish national team in ski jumping. In connection with these activities, he has participated in the Winter Olympics Games in Salt Lake City (2002) as a member of the Medical Commission of The Polish Olympic Team.